DANIEL WU became the ‘flirt of the night’ after the 25th Hong Kong Film Awards and was seen getting chummy with two top Chinese actresses, Zhou Xun and Zhang Ziyi. He happened to be by himself without girlfriend Lisa S at all the celebration parties. He arrived at an event and congratulated Best Actress winner Zhou Xun in a few languages. After a few drinks, the two got intimate and then Zhou Xun even put her arm around Daniel and kissed his cheek. 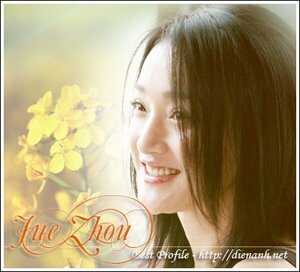 And all this did not escape the eyes of Zhou Xun’s boyfriend Li Dachi who was said to be unhappy and walked right up to them. Daniel then quickly changed his ‘target’ and approached Ziyi. Both were seen having a good time drinking and laughing away, and only at 4am did they leave the place together. Ziyi was seen getting into a white van with Daniel but when both of them spotted some paparazzi, the actress covered her face with a black jacket. Daniel then got down from his van and left in a cab instead. Later he explained that Ziyi is his good friend and he wanted to send her home in his company’s van, which also had six or seven other people. But since there were paparazzi, he decided to let the driver send her home and he went by taxi instead. It was said that Ziyi, Zhou Xun and Daniel got closer while working on the movie Night Banquet.